Imponenti diffusori dello storico marchio britannico, vennero presentati nel 1978 dalla Tannoy. 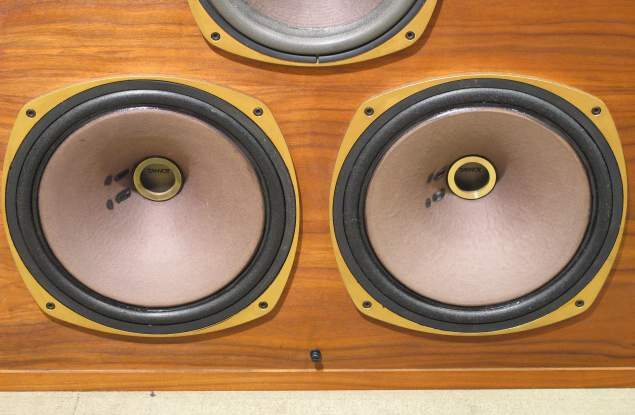 La loro realizzazione prevedeva due grandi woofer da 31 cm ed un dual concentric da 25 cm con lente acustica che, collocati all’interno di un cabinet di ragguardevoli dimensioni, consentivano il raggiungimento di elevate pressioni sonore ad opera dell’alto grado di efficienza del sistema. Il coinvolgimento era il punto di forza di questi strumenti di riproduzione. Grande suono dalla tipica impostazione “british”. Anziché perdere valore commerciale con il passare degli anni, le Buckingham Professional Monitor si sono andato sempre più rivalutando, raggiungendo oggi il valore di 3.000 euro circa, per una coppia in perfette condizioni estetiche e di funzionamento. Questo prodotto è molto ricercato nel mercato del vintage. 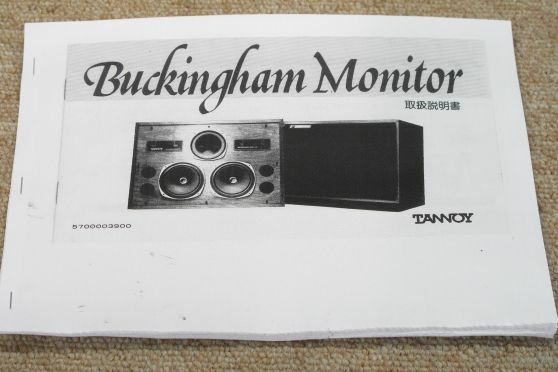 Released in 1980 by Tannoy, a studio monitor manufacturer out of Japan, the Buckingham Monitor (¥ 695,000) is one of the finest studio sound monitors ever produced, while also being devastatingly attractive. The two 31cm cones produce a mid-high range of 320hz, a range of high tones that’s unheard of by today’s standards, pun intended. It weighs as much as a 15 year-old linebacker, 80kg. 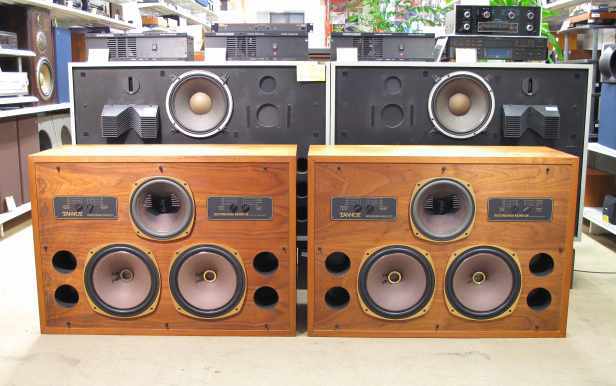 The front tweeter, and low-drive systems also turn the floor monitor into an incredible bass driver, all in a single unit. The beautiful dark stained birch wood is 2.5cm thick which aside from being absolutely gorgeous, helps the sound resonate and amplify into your room. Few sound pieces rest upon the tier built by the Buckingham. 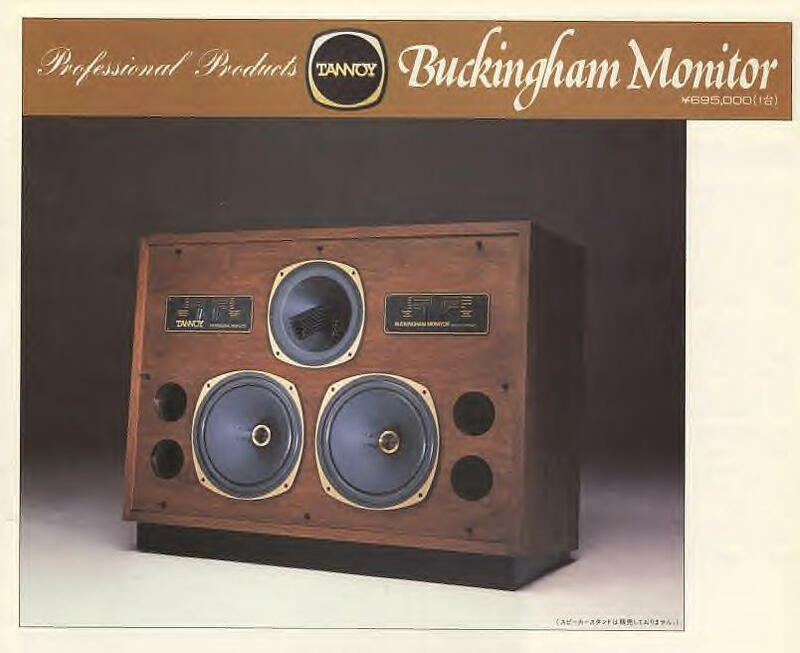 Drawing from his knowledge of high efficiency products made for the high quality public address market, the Chief Engineer, Mr. Ronnie H Rackham combined a high frequency compression horn drive unit concentrically with a 15″ direct radiating bass driver. His skill in designing wide band horn systems married the two drivers together so that the flare shape of the 15″ bass unit continued the flare rate of the high frequency unit. It was this important part of the design process that conceived a very low coloration horn device. Because the HF horn had a very large mouth diameter it had an inherently low cutoff frequency. 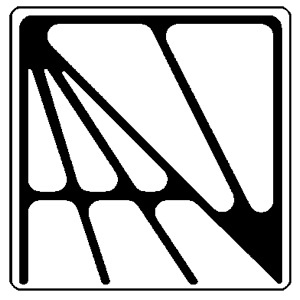 The crossover point from bass to high frequency was selected at 1kHz; nearly a whole octave above the natural horn frequency lower cut off point, leading to previously unheard of low levels of coloration. 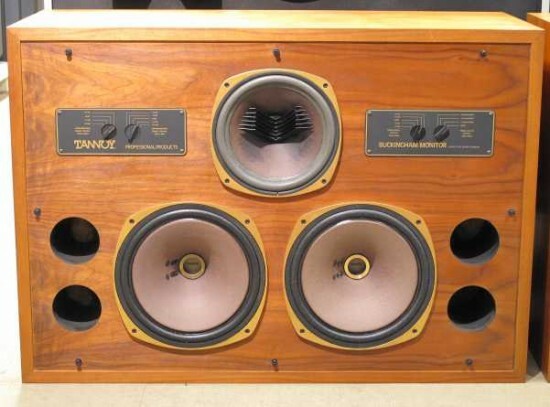 In 1947 the first Tannoy Dual Concentric was born. 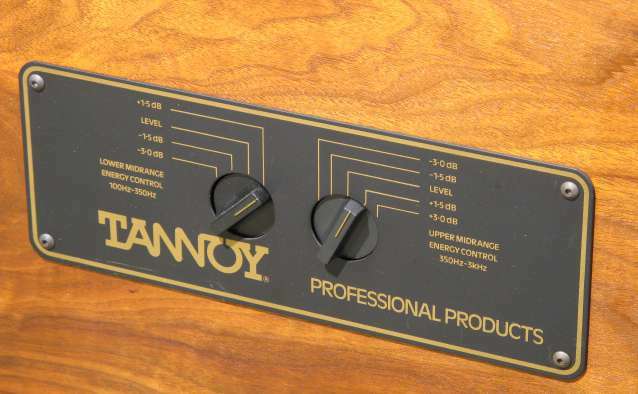 It was designated the ’15” Monitor Black’, had a power handling of 20 Watts RMS, a voice coil impedance of 15 Ohms and a crossover point of 1 kHz. 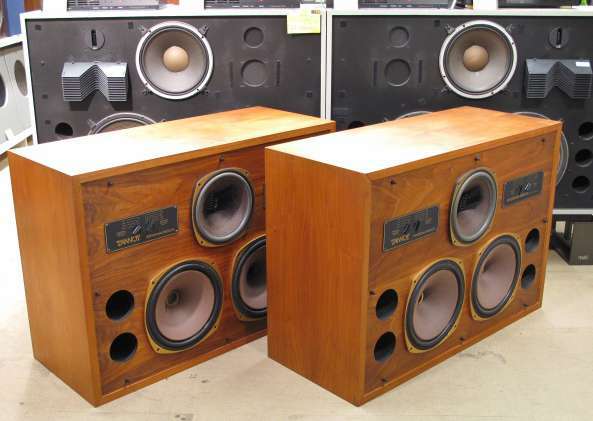 Magnetic gap fluxes were provided by a cast iron alloy magnet and were very high for a speaker of the 1940s at 12,000 gauss for the low frequency voice coil and 18,000 gauss for the HF coil. (10,000 gauss = 1 Tesla). 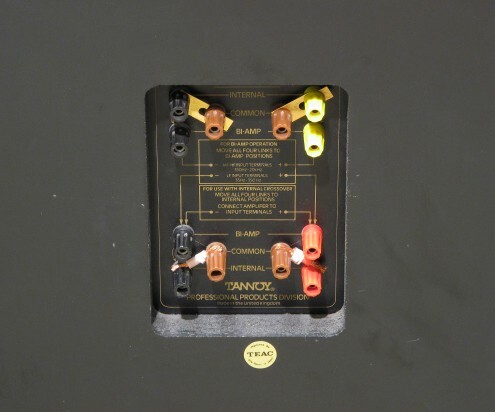 At 20 Watts power handling in 1947 the unit was very well received and this, coupled with a sensitivity close to 92 dB for 1 Watt at 1 meter right up to the highest frequencies, was a milestone for the company in providing high quality speech and music capabilities in an efficient way. 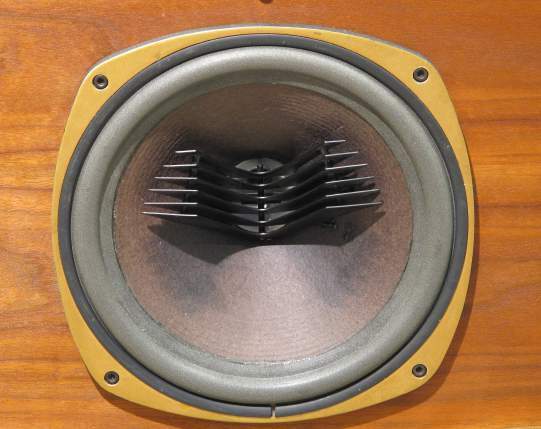 Six years later the unit was improved to 25 Watts power handling and the free air resonance lowered to 40 Hz to enable the unit to be used in encloses to improve the low frequency performance. The heavy, black crackle finish, overly engineered cast chassis was replaced by a gravity casting with much more open area to the rear to prevent rear reflections. The livery was changed to silver and in the autumn of 1953 the ’15” Monitor Silver’ loudspeaker from Tannoy was launched in a compound horn cabinet called the ‘Autograph’. 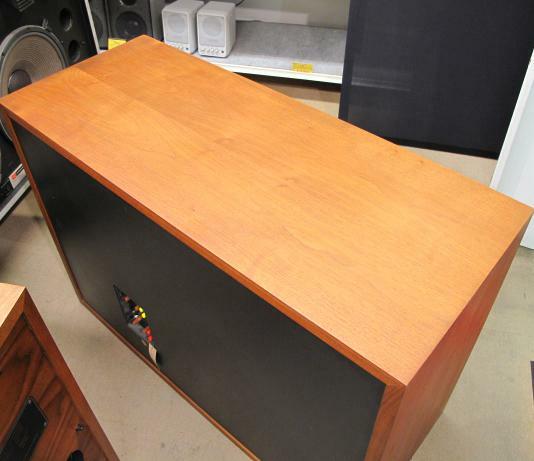 The previous 15″ Monitor Black had an integral crossover network and line-matching transformer built into a square aluminum box mounted on the side of the chassis. All components were ‘potted’ in wax to prevent resonance and to protect the wax paper capacitors used at the time from moisture.